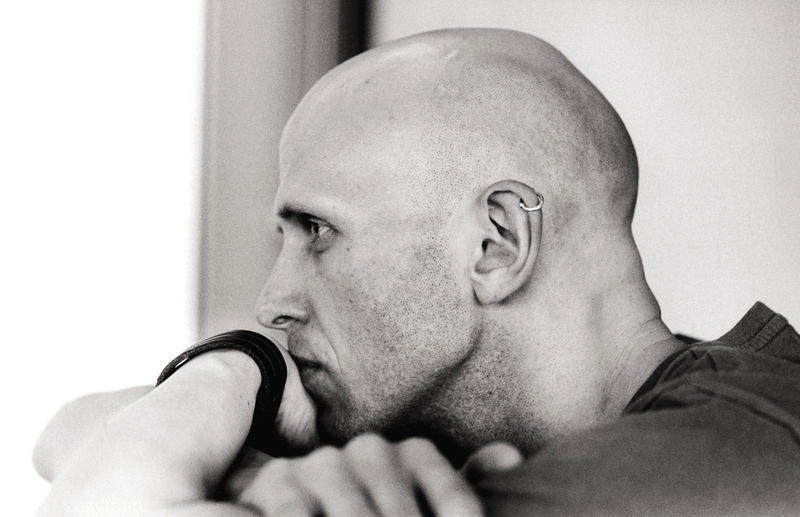 In his practice, choreographer and director Wayne McGregor CBE draws from academic research in a range of fields, including technology, semiotics, cognitive science and biology. In his practice, choreographer and director Wayne McGregor CBE draws from academic research in a range of fields, including technology, semiotics, cognitive science and biology. With collaborations across dance, visual arts, VR, film, theatre and opera, McGregor’s mixed media works feature anatomy-defying choreography performed in austere and expansive set designs, where light, sound and bodies interplay. McGregor is Artistic Director of Studio Wayne McGregor, founded in 1993, which encompasses Company Wayne McGregor and a host of education, research, artist development and community engagement initiatives, including FreeSpace and QuestLab Network. Among his more than 30 experimental choreographic works for Company Wayne McGregor are Autobiography (2017), +/- Human (2016), Tree of Codes (2015), Atomos(2013), UNDANCE (2011) and FAR (2010). McGregor is also Resident Choreographer of The Royal Ballet, London, and he is regularly commissioned to create choreography for international ballet companies, films (Harry Potter, Fantastic Beasts, Mary Queen of Scots), music videos (Radiohead, Chemical Brothers), fashion shows (Gareth Pugh, London Fashion Week 2017), campaigns (everyBODY for Selfridges) and television (Brit Awards). McGregor's work has earned him a multitude of awards, including the National Dance Award, Critics' Circle, London (2006, 2009, 2016, 2018); Olivier Awards, London (2007, 2016); Golden Mask, National Theatre Award, Moscow (2012, 2015); Prix Benois de la Danse, Moscow (2009); South Bank Show Award, London (2007, 2009) and Time Out Award, London (2001, 2003). In 2011, McGregor was awarded the Commander of the Most Excellent Order of the British Empire (CBE) for Services to Dance. McGregor is Professor of Choreography at Trinity Laban Conservatoire of Music and Dance, London, and a member of the Circle of Cultural Fellows, King’s College London. He has received an Honorary Doctor of Science from the University of Plymouth, an Honorary Doctor of Letters from the University of Leeds and an Honorary Fellowship from the British Science Association.